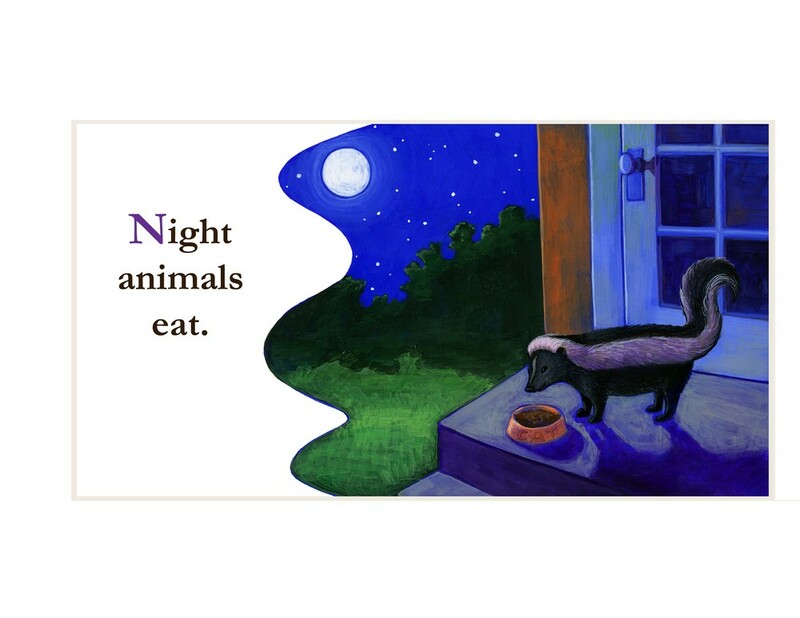 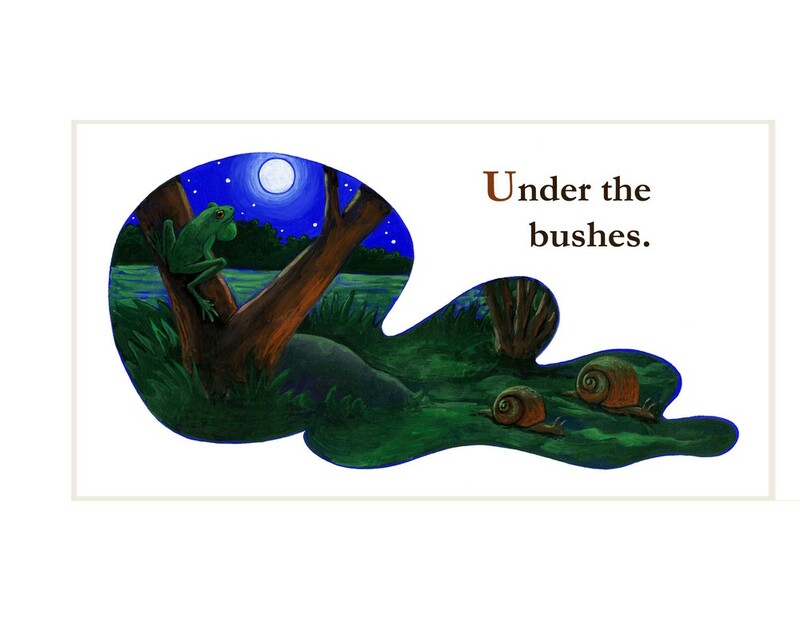 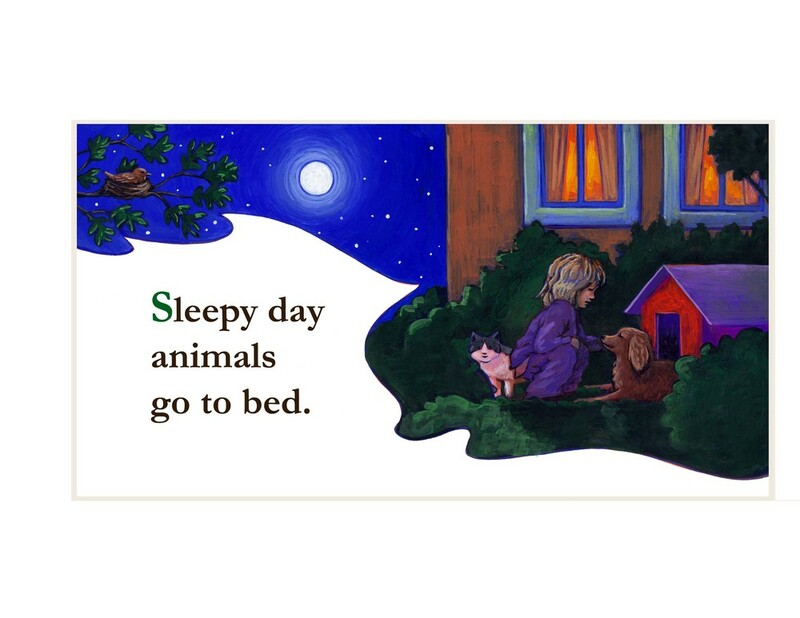 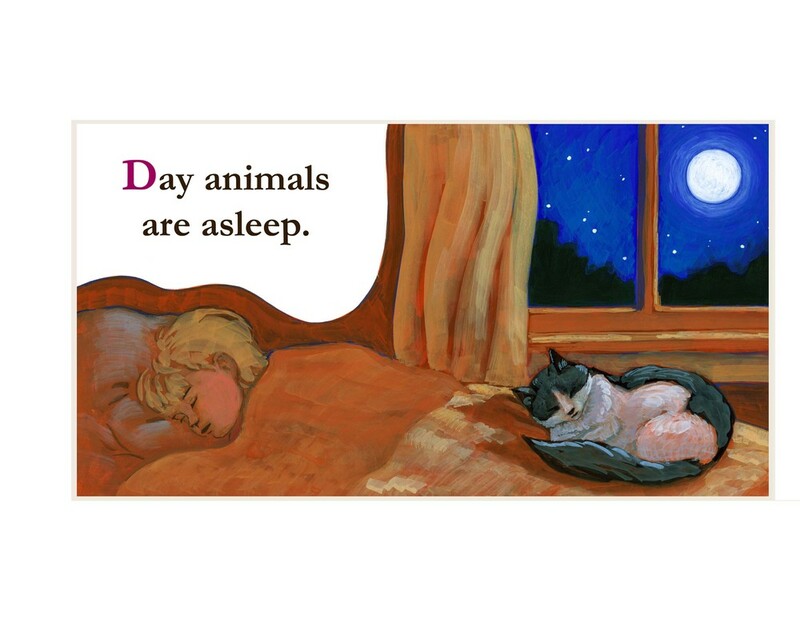 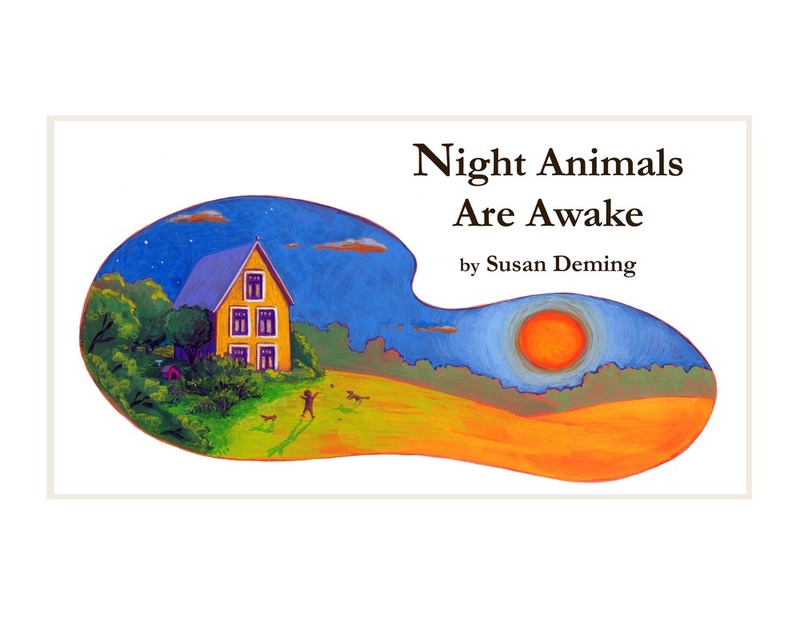 Night Animals Are Awake: a night-time book proposal for ages 2-7. 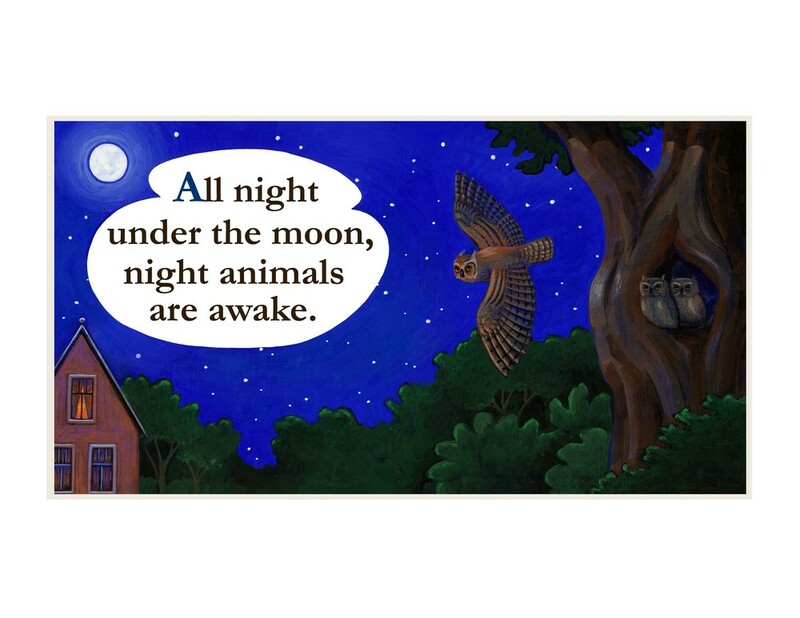 This proposal is an alternative version of Here Comes the Moon, with an emphasis on who is awake when we are asleep. 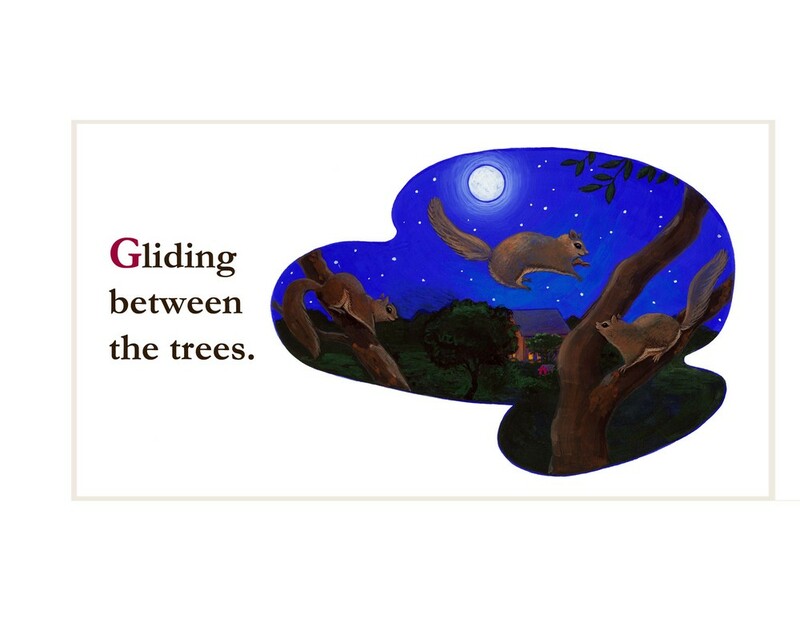 Illustrations and proposed two-page layout and words.